My Irish cousins came together this past weekend for our 5th annual gathering. We are a small handful of Coyle/Brady cousins who originally discovered each other on the internet. Our beginnings can be traced to the 1800s in County Cavan, Ireland where our Coyle/Brady ancestors made a meager living in small rural towns near Lough Sheelin. We’ve come a long way since then. We cousins all live in the northeast: New York, New Jersey, Connecticut and Massachusetts. Each summer we take turns with the hosting and driving. This year we gathered on the Jersey shore. 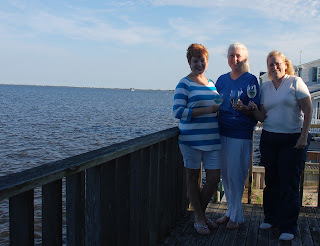 Besides sharing our newest genealogy discoveries we enjoyed delicious seafood meals, views of sailboats drifting on the water at the blue hour, and a night sky full of stars and fireworks. Our little group is growing. Another Connecticut cousin has recently joined us. We’ve pulled out our family trees to determine where this branch connects. This autumn we are planning to gather for our first research weekend. Family group sheets, timelines and laptops in hand, we will head to a Connecticut library [CT is where the Patrick & Margaret (Brady) Coyle family lived.] to expand our family knowledge. Don’t wait. Grab your calendar and gather your cousins. You’ll be glad you did. 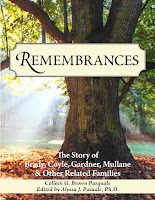 Find A Grave can yield valuable information about our ancestors. Sometimes only information from the tombstone is available but occasionally there are facts about other family members with birth, marriage and death dates. You’ll want to verify those facts but they give you a place to begin. The plaque was erected by his great grandsons, George R Brumfield & Earl P Moore. Thanks goes out to them for the plaque! Thanks also to Connie G Lozier who added the photograph of the plaque to the website! Thanks to Find A Grave! This was a great find. 16 August 1942 Joel Moore Good [son of Albert E Good & Elizabeth L Moore] & Helen Delores Janisky. They were married in Stark Co., Ohio. Joel worked for a newspaper. 17 August 1950 Doyle Alton Ball [son of James A Ball & Mildred O Brown]. & Idola M Landry. They were married in Mississippi. 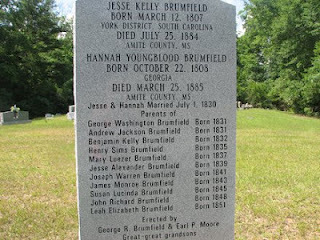 22 August 1872 Joseph Wolf [son of John Franklin Wolf & Elisabeth Burkholder] & Anna Eliza Kohr. They were married in Ohio. Joseph served in the Civil War. He was a farmer. 25 August 1824 Henry Ritter [son of Johannes Ritter, Jr. & Anna Mariah] & Mary Harpster. Henry was a farmer in Indiana. 25 August 1866 Daniel Mullane [son of Thomas Mullane] & Brigid English [daughter of Martin English]. They were married in Ireland. Daniel was a carriage maker. They had eleven children. They were my 2nd great grandparents. 25 August 1923 Ralph Alvin Parker & Nellie Irene Jolliff [twin daughter of Samuel M Jolliff & Margaret Maude Mark]. They were married in Ohio. They had three children. 27 August 1938 George Bennett & Mary Alice Alford [daughter of Dewitt W Alford & Ina Lucille Brown]. They had four children. 28 August 1937 Ralph Clayton Kauffman & Margaret Maude Mark [daughter of William Mark & Elidia Rebecca Ritter]. They were married in Ohio. 29 August 1880 Amos Ritter [son of Isaac Ritter & Isabell Fisher] & Emma Levina Smith. They had two children. Amos was a farmer. During a Find A Grave Search. Have you found something interesting in a census report? This one added new information for my family tree. By 1935 Leopold Gartner had moved to Buffalo, New York to live with his oldest daughter, Florence (Gartner) Weissberg and her family. What happened to Anna? Leopold died in 1948 in Buffalo. His obituary gave me the first clue about Anna’s life. She was listed as Mrs. Anna Bearman of New York City. Who did she marry? What was she doing? The 1940 US Census might hold answers. I looked for & found an Anna Bearman living at 1215 Grand Concourse in the Bronx [SD 49, ED 252, Sheet 12A]. She was married to Benjamin H. Bearman from Lithuania. New York City is a big place and there could have been more than one Anna Bearman. The age did not match exactly but I have found that is often the case. I continued to read the census report and got quite excited when I saw Anna’s occupation. She was a book keeper for the Western Union Telegraph Company! Hurray! This was my grand aunt. I wonder what the next census report will reveal. Here I am in 2012 and looking forward to 1950! My father’s family tree has roots that stretch back to the Alford family. The very best source for information about the Alfords is the Alford American FamilyAssociation. For 25 years this group has been sharing scholarly research with others. If you have connections with this name you will benefit from a visit to their website. 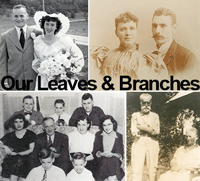 Check my website for more details & sources: Our Leaves & Branches. Clawson, Alma Dell Magee, Fields of Bloom. Privately Printed, 1972. Conerly, Luke Ward, Source records from Pike County, Mississippi 1798 – 1910. South Carolina: Southern Historical Press, 1989. Heard, Ruby Alford and Gil Alford, ‘Early Mississippi Alfords,’ AAFA (1990) p. 35and (1991) p. 22. Parish, Ray and June Sartin. Cemetery Inscriptions of Pike County, Mississippi. Saunders, Carolyn Alford, My Alford Heritage. Texas: Morgan Printing, Limited Edition, 2005. 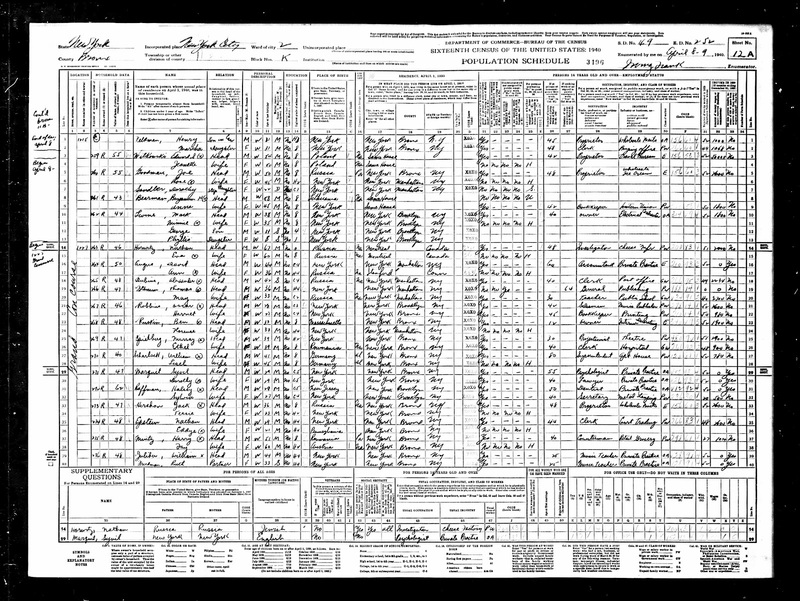 There are times when we can trace a family through census records, getting a fairly clear picture of their lives. I have family documents, letters and photographs of these members of my maternal grandfather’s family. 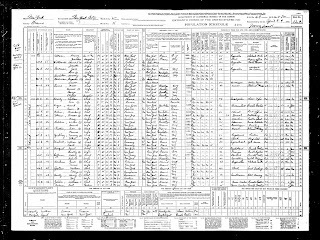 But even if you look only at the census records you can trace the lives of this family from the early years of their marriage to the marriage of their oldest son. You can see Frank progress from tailor to furrier to the owner of his own fur store. 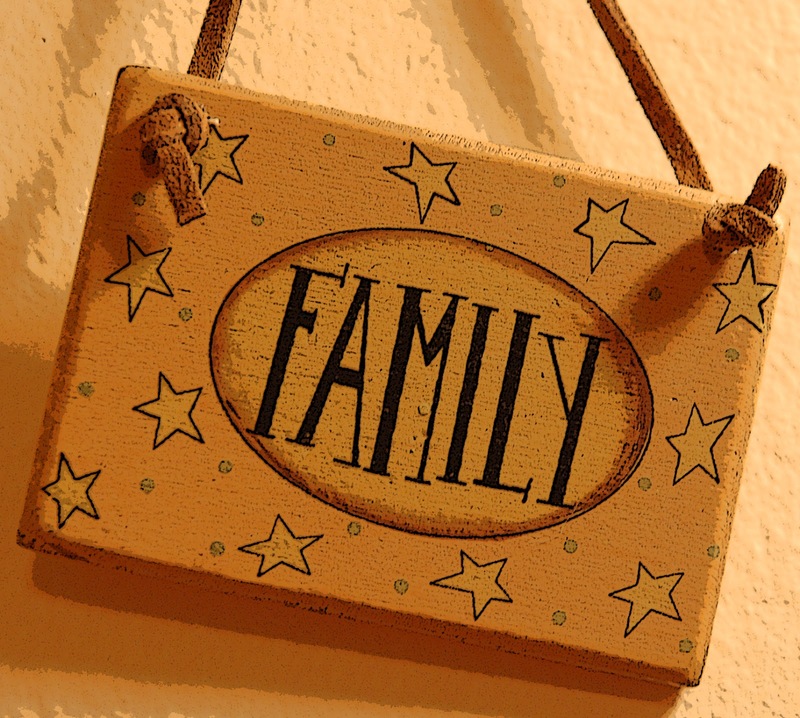 Take note of these interesting items: The head of household’s first name alternates between Frank S. and Samuel F. The surname switches between Weisberg and Weissberg. Florence often changes her age to appear younger than her actual age. 2 August 1927 Roy Jesse Brown [son of Jasper P Brown & Rose Ella Brumfield] & Ivy R. Mark [daughter of Thomas K Mark & Elidia Rebecca Ritter]. They were married in Ohio. They were my paternal grandparents. 2 August 1942 Owen Andrew Mark [son of Thomas K Mark & Elidia Rebecca Ritter]& Blanche Adele Bowers. They had twin sons. Owen served in WWII. He was a farmer. 5 August 1938 Theodore Walter Stefanski & Mellie Arlene Jolliff [twin daughter of Samuel M Jolliff & Margaret Maude Mark]. They were married in Ohio. They had one daughter. Mellie was married twice. 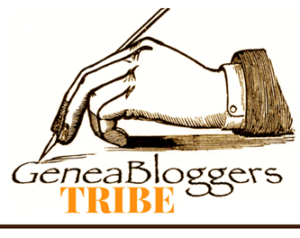 7 August 1812 Moses Brown [son of Edward Brown] & Nancy Perkins. They were married in Mississippi. They had seven children. Moses was married twice. He also married Sarah Robertson. 8 August 1948 Delbert Keith Brown & Alberta Joy Gardner were my parents. They were married in Germantown, NY. My mother made her own wedding dress. They were just 20 years old. They lived with my maternal grandmother until they could afford an apartment of their own. 10 August 1854 Henry Nee & Matilda Millan. They were married in Pennsylvania. 12 August 1939 Richard F Wolff & Rosemary Veronica Coyle [daughter of James j Coyle & Madeline Herbst]. They were married in CT. They had two sons and two daughters. 15 August 1850 Burrell Taylor Fortenberry [son of William J Fortenberry & Violette Kennington] & Eliza Jane Ellzey [daughter of John Ellzey & Elizabeth Coney]. They had five children, all born in Mississippi. Burrell served in Company K, 9th Louisiana Calvary during the Civil War. 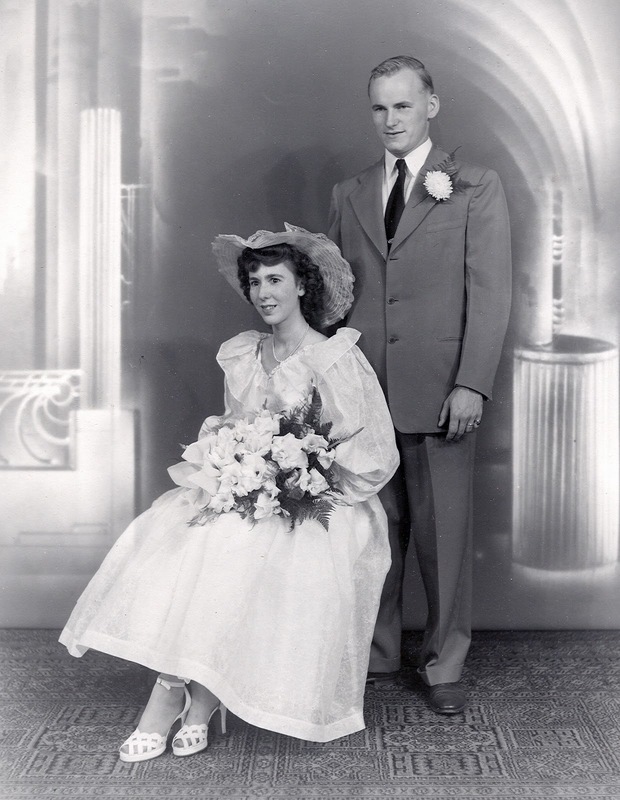 15 August 1942 Leonard M Ezell & Rava Nell Ball [daughter of James A Ball & Mildred O Brown]. They were married in Mississippi. They had five sons. Do you know any of these couples? Do you have a wedding photo or marriage certificate? I'd like to hear from you.